We are proud to be a global university that welcomes students and staff from over 150 countries. At NTU, we aim to give all students and staff the opportunity to gain global experiences on or off campus through our international curriculum, student experience and range of opportunities for students and staff to study, work and volunteer abroad. At NTU we have a vibrant and diverse community of students. 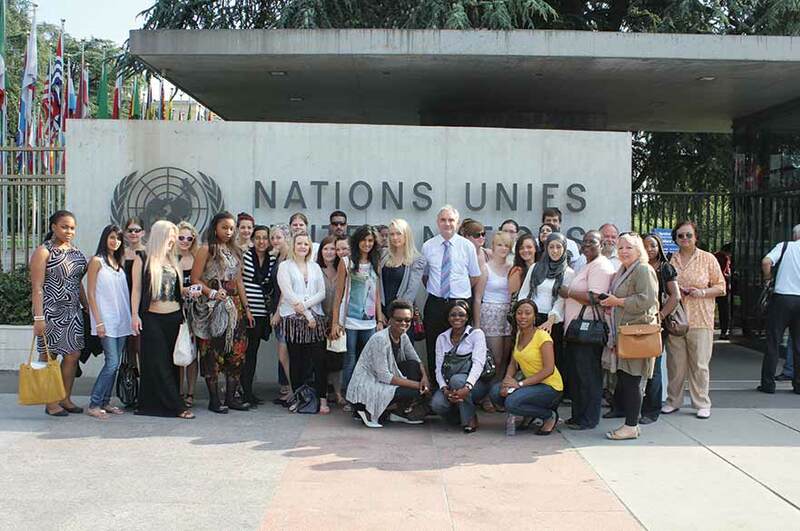 Our current students welcome around 4,000 students from over 135 countries outside of the UK. Many of the countries and cultures are represented in Students' Union societies and regularly meet and arrange events around the University. We also have a community of over 18,000 international alumni and 12 international alumni groups around the world. Our study abroad / exchange programmes welcome about 500 students from our partner universities abroad. Our Global Student Experience team run our Global Lounges at City and Clifton campuses. These are spaces dedicated to promoting internationalism and broadening horizons throughout the year. These spaces are open to all students and staff to celebrate and organise cultural events, find out and get advice about study abroad opportunities available to students during their time at NTU, meet new people from around the world, practise languages, and share ideas in a relaxed environment. The lounges host weekly events including themed lunches and movie nights, language cafes, to one-off cultural celebrations and awareness events. Students get regular updates on events and projects happening in the Global Lounges and are actively invited to get involved. The friendly Global Student Experience staff are always at hand to help and support students and staff with any queries or help to develop ideas. The celebration of our rich cultural diversity culminates with our annual Global Week, a festival of NTU staff and students’ different heritages and global issues we care about. We welcome everyone to visit Global Lounges at any time to find out more. 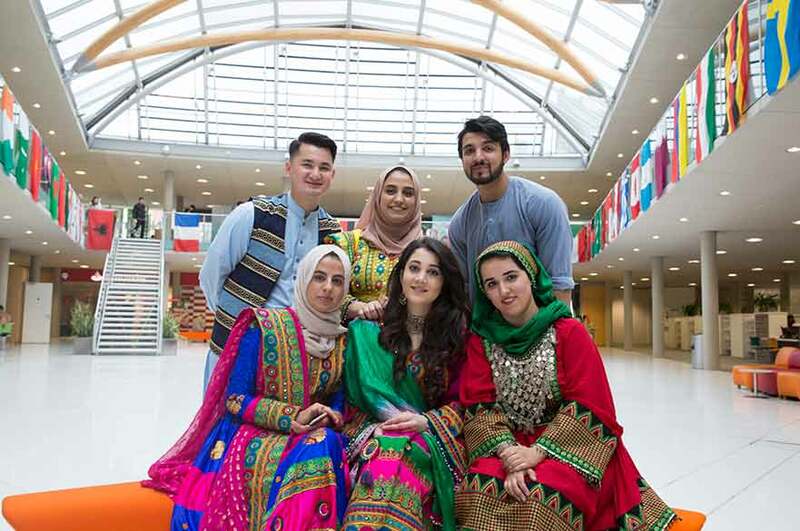 Global Week is a week-long celebration of the rich cultural diversity of Nottingham Trent University, which usually takes place in the spring. The event celebrates the different cultural heritages of everyone at NTU, and provides opportunities for students and staff to extend their international outlook and understanding right here on campus. Global Week contributes to our commitment to give all of our students and staff a truly international student experience, and there’s loads of ways to get involved. In previous years, activities have included everything from a Bollywood dance workshop to an African drumming performance. Plus there’s the chance to find out loads more about international opportunities at NTU, including studying and working abroad or learning a language. For more information and the breadth of activities happening during Global Week, please visit our Global Week website. We know that studying abroad adds value to degree and gives students an amazing chance to experience another culture and enhance their employability skills. We aim to give every NTU student an opportunity to travel abroad during their time at NTU. This could be a built in to their course or a voluntary semester or year studying or working abroad, or a shorter-term summer school, volunteering programme, or training / placement opportunity. We offer and actively promote opportunities worldwide. Students have a great opportunity to meet new people and build a new network of friends and practitioners in their chosen subject, and even learn a new language. Going abroad during a degree is an exciting experience and a chance for students to develop personally, academically, and professionally. Our dedicated team are always offering support and information to students and staff who wish to spend a period of time overseas, and can even help with funding the opportunities. Explore where some of our students have recently visited on our social media hub. 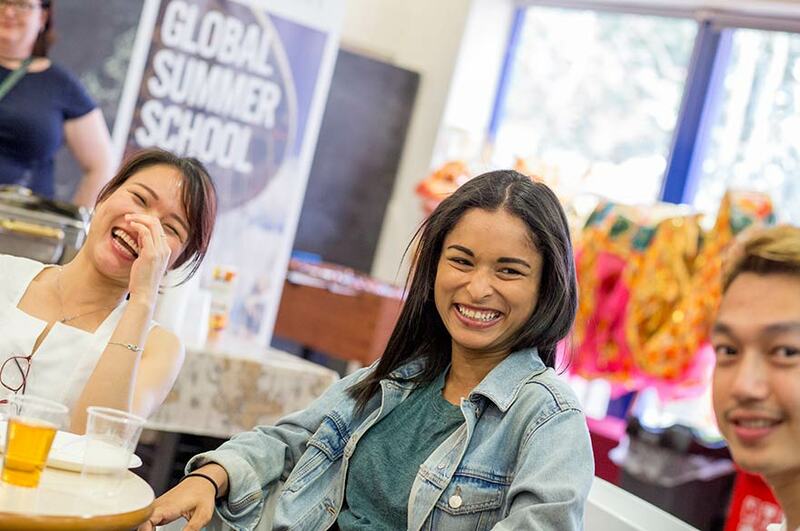 The NTU Global Summer School is a programme or courses in July and August when we welcome students from across the world to spend between two to four weeks in Nottingham. This programme is perfect for students who are interested in continuing their studies in the UK and to see the best of what NTU, Nottingham and the UK have to offer. The programme is also an opportunity for current NTU students who spend their summer in Nottingham to gain international experiences through becoming Student Buddies to Global Summer School students and offering them support and friendship throughout their time here. Courses are offered in many subject areas, and across many disciplines. Global Summer School students often stay in NTU accommodation, and as well as their academic studies, there is a busy social programme to get involved in.